Thanks for your interest in our products. You can purchase our products on our website at www.moptophair.com or on Amazon. 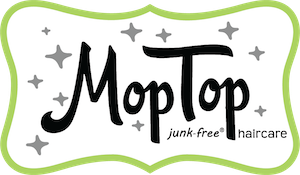 Make sure if you are purchasing on Amazon that you purchase from MopTop Inc., as there are other sellers of our products on Amazon and we are the manufacturer and are brand registered (it will say sold by MopTop and fulfilled by Amazon on the right side of next to In Stock) We have very strict quality control standards for all our products and are highly regulated for optimum performance to ensure they meet our highest quality standards.